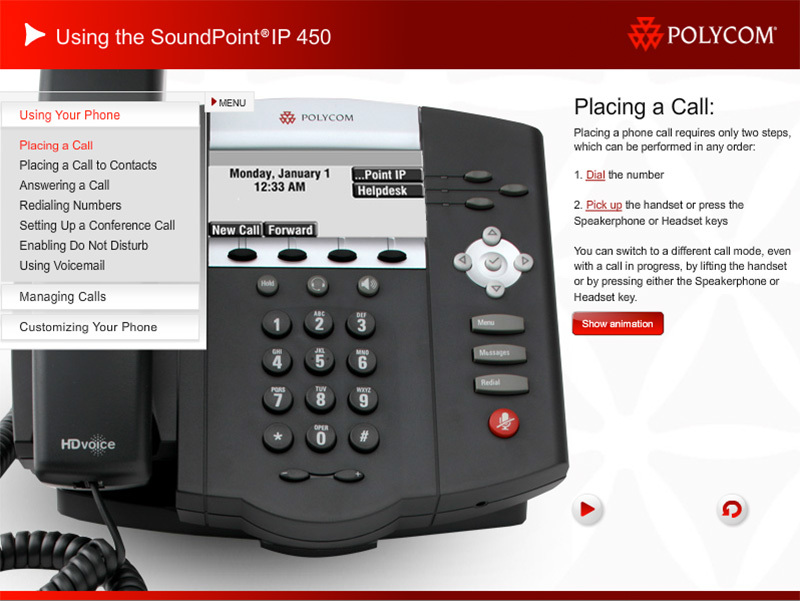 SoundPoint IP 330-670 SIP, a full-duplex, hands-free phone. This unit provides business telephony features and functions such as multiple call appearances, call hold, transfer, and conference over an IP network. 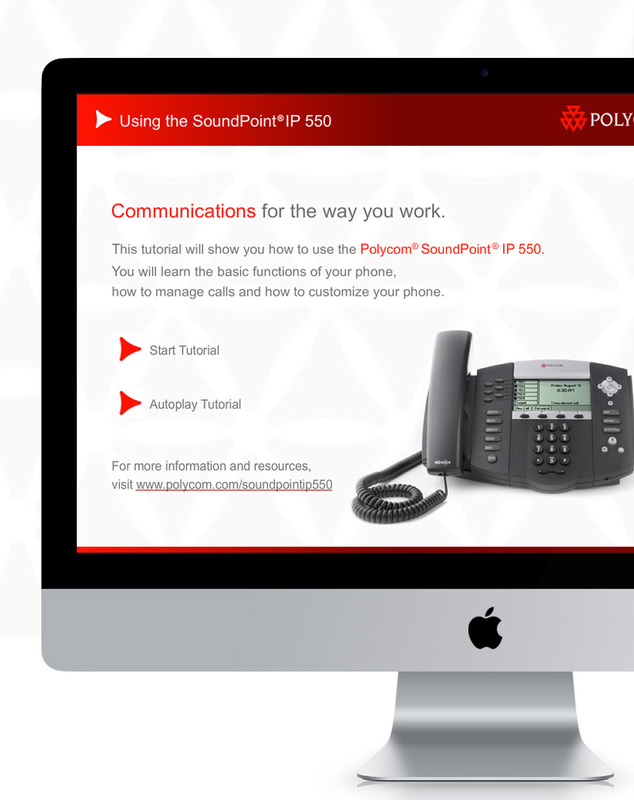 The E-learning site provides everything the users need to learn and grasp the application of their new phone quickly.